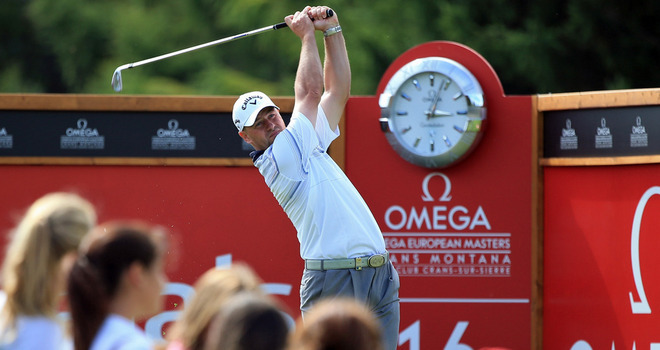 The Omega European Masters is held in Switzerland and it’s one of the longest serving events on the a European Tour. Crans-Sur-Sierre hosted this event when it started back in 1972 and still hosts the event today. Some big names have won here over the years including Seve Ballesteros who has won this event on three occasions. Last years winner was Thomas Bjorn who claimed the title for the second time in just three years. Bjorn is part of a strong field this week which includes Jamie Donaldson and Victor Dubuisson who are both in the European Ryder Cup team. Crans-Sur-Sierre has hosted this event for over 40 years now. It’s relatively short at just 6881 yards and it actually plays shorter than that due to the high altitude that the course is at. Crans-Sur-Sierre is an easy course with 21 under, 20 under, 16 under and 20 under being the winner scores over the last four years therefore players that are capable of making a lot of birdies and shooting low scores could all do well this week. The European Ryder Cup Trio of Jamie Donaldson, Victor Dubuisson and Thomas Bjorn lead the betting at prices of 12/1, 14/1 and 16/1, these are certainly the players to beat this week. Spaniard Miguel Angel Jiminez has finished in the top eleven in this event in each of his last six visits including a win here in 2010, it’s no surprise to him priced at 22/1 despite a recent dip in form. A final mention goes to Bernd Wiesberger who has been in top form and recently finished 15th in the US PGA Championship, the Austrian can be backed at 25/1. Tommy Fleetwood – I backed Fleetwood last week and i’m keen to back the Englishman once again. Tommy appears to playing well and has now made his last six cuts after missing four in a row. Two weeks ago he finished 5th in the Czech Masters and last week he finished 24th in the Italian Open. Fleetwoods putter let him down last week, he hit 79.2% of greens in regulation which suggests he is playing well from tee to green. Fleetwood won on the European Tour for the first time last year and has recorded 2nd and 3rd place finishes this year. Course form is always important and Fleetwood finished 19th in Switzerland in 2012 and 9th last year, these results show he can perform well around Crans-Sur-Sierre. Romain Wattel – The Frenchman is a player that will surely win on the European Tour in the near future. He’s had a great season missing just four cuts in his last 19 events. Last week Wattel finished 11th in the Italian Open and played well from tee to green hitting 75% of greens in regulation which shows he is striking the ball well. Not so long ago in June Wattel recorded 11th, 17th, 21st and 12th place finishes. In 2012 Romain finished 2nd in this event which suggests he can play well around this track. Hitting a lot of greens in regulation is key this week and the Frenchman is ranked 40th on the European Tour this year in terms of greens in regulation hit this season. Kristoffer Broberg – Broberg has been in a great run of form recently and looks to be a real talent. In 2012 Broberg played in seven Challenger Tour events and won four of them, it’s only a matter of time before he wins on the European Tour in my opinion. Kristoffer has improved his consistency this season making 15 of his last 20 cuts whilst last year he only made nine cuts in 23 events. Broberg’s recent form has been very impressive, in June he finished 3rd in the Irish Open and in July he finished 2nd in the Scottish Open, both events had very strong fields which suggests he can compete with some of the top players this week. His recent form has also been pretty decent, he finished 32nd in the Made In Denmark which he then followed up with an 18th place finish in the Italian Open last week. In Italy Broberg played well from tee to green hitting 77.8% of greens in regulation which suggests he is playing well, a good week with the putter and he has every chance of contending on Sunday.